25mm wide, 3 metre roll. 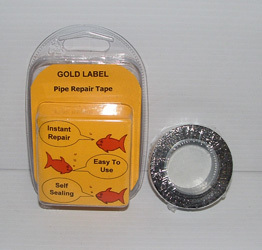 Excellent new product from Gold Label. Just wrap a length of tape around leaking pipe, leave for ten minutes, tape bonds to itself and bingo - no leak!